Deepthi Lokuarachchi, Chief Executive Officer of HNB Assurance (HNBA) and its fully owned subsidiary HNB General Insurance (HNBGI), was appointed to the boards of HNBA and HNBGI as Managing Director recently. The appointment is made subject to the approval of the Insurance Board of Sri Lanka. Lokuarachchi now functions as the Managing Director/Chief Executive Officer of both companies. He counts over two decades of professional experience in the fields of general management, distribution, risk management and overall operations management. 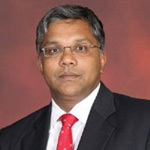 His last two appointments included the appointment as Chief Executive Officer of Orient Insurance Sri Lanka and Chief Executive Officer of Sri Lanka Insurance Corporation for a period of two years.